With each passing day, the release of Kingdom Hearts 3 gets closer. We still don't have a release date, and according to recent news, it seems that the game won't be coming out in 2017. In the meantime, the fanbase is left to speculate what the conclusion of the "Xehanort Saga" will bring. For me, one of the biggest things I wonder about is which characters will be playable. For a series which features friendship as a major theme, the focus often seems to be individuals. Not counting the multiplayer in Kingdom Hearts: 358/2 Days, the game in the series with the most playable characters is Kingdom Hearts 2. Even then though, one of them is only playable at the beginning, one of them you barely play as at all, and one of them you only get to play as if you die enough. 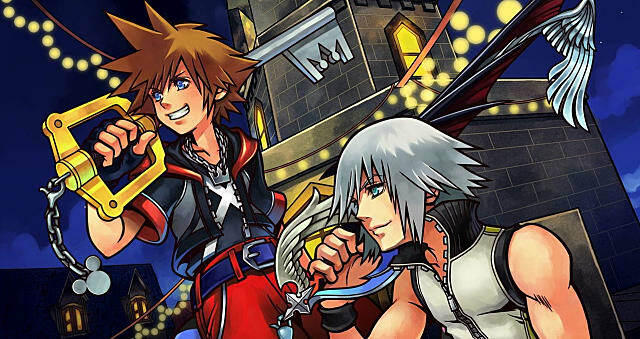 For this series's story to come together, multiple characters other than Sora and Riku need to be playable. And frankly, for how long we've had to wait for this game, it'd be disappointing for only one or two characters to be playable. These are my Top 5 Characters who Must Be Playable in Kingdom Hearts 3. Neku Sakuraba was originally the protagonist of the magnificent JRPG The World Ends with You. This DS title, which happens to be my favorite game of all time, was directed by the same man who directs the Kingdom Hearts games, Tetsuya Nomura. 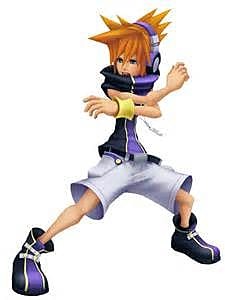 While TWEWY has sadly not gotten a sequel, Neku and his friends all played a small role in Kingdom Hearts: Dream Drop Distance. I fully admit that their appearance was mostly fan service, but it was really well done fan service. As such, I believe they should take the pandering to the next level. I'm not asking for Neku to suddenly be made a major part of the story; that would be ridiculous. Rather, I suggest that at one point in their travels, Sora, Donald, and Goofy meet up with the TWEWY crew once more. For reasons specific to the world they're in, meaning only tangentially related to the main plot, Sora's group would get captured, and Neku would have to save them. 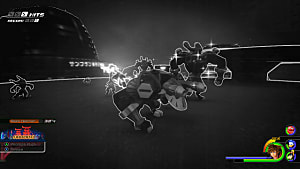 Through this, the developers would instantly make TWEWY's cult following fall in love with Kingdom Hearts 3, and it would also contribute to the theme. It would show that friends aren't just there to help you accomplish massive goals. They can also just help you out of a jam. In Kingdom Hearts: Chain of Memories, we were introduced to the antagonistic group, Organization XIII. Among their members was the chakram wielding fan-favorite, Axel. However, by the end of Kingdom Hearts 2, Axel's character arc had been completed, and he died making a heroic sacrifice. We thought we'd seen the last of him. We were wrong. 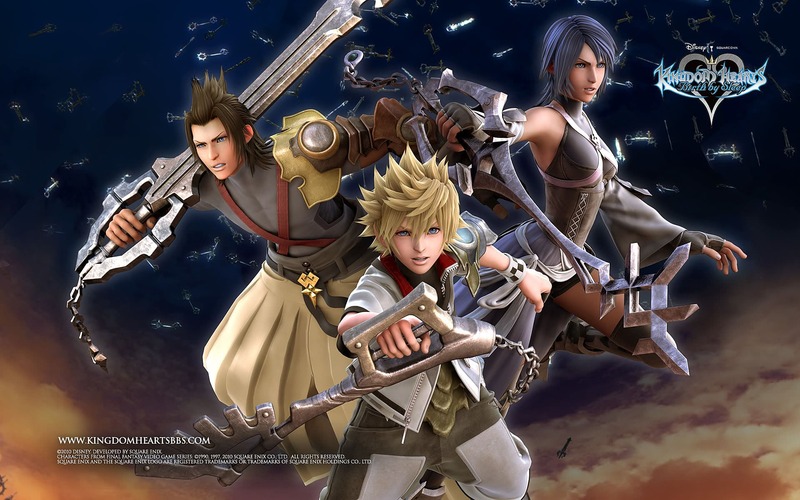 After Kingdom Hearts 2, Kingdom Hearts: 358/2 Days was released. 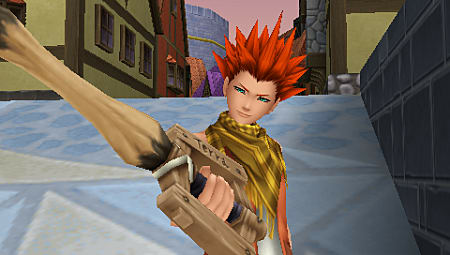 It was a prequel game focused on Roxas, Sora's Nobody, and his friendship with the characters Axel and Xion. Despite the game's poor gameplay, the story shone, and Quinton Flynn's heart tugging performance as Axel won the character even more fans. Once again, we thought we'd seen the last of him. We were wrong...sort of. Cue Kingdom Hearts: Birth by Sleep, arguably the best game in the franchise. Set before the rest of this series, this game provided a lot of backstory and lore. Some of the characters we learned about were some of the human counterparts to the members of Organization XIII. Naturally, with the character's immense popularity, Axel's human counterpart, Lea, was one of the characters we got to meet, and it was pretty fun to see him. Still, we knew his ultimate fate: Losing his heart and becoming Axel. And so, with no more prequels, and the story about to move forward, we thought for sure that we'd finally seen the last of him. 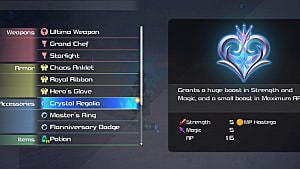 In Kingdom Hearts: Dream Drop Distance, we got this spiffy piece of information: When someone's Heartless and Nobody are killed, the original human is revived. And you guessed it! Since Axel died in KH2 and his Heartless was killed somewhere along the line, Lea is alive again, though rocking Axel's look. It was great to see Lea again, and the scene where he saves Sora towards the end of the game is fantastic. Where things get a might confusing is the game's epilogue, in which Lea...turns out to be a keyblade wielder. Now, I love Axel. He's my favorite character in the franchise. However, in the grand scheme of things, he's never been too important to the overall plot. And Lea has done even less. If they're going to justify Axel/Lea's continued presence throughout the series, and his suddenly being a keyblade wielder, it only makes sense to me that he be playable. King Mickey is on this list for one reason: He needs to die. When you get past the convoluted plot and the massive cast of characters, Kingdom Hearts is Sora's coming of age story. And a major part of any coming of age story is that the protgaonist's mentor must die. Peter Parker must lose Uncle Ben, Luke Skywalker must lose Obi-Wan, Harry Potter must lose Dumbledore, etc. Since the beginning, King Mickey has been Sora's guiding force. 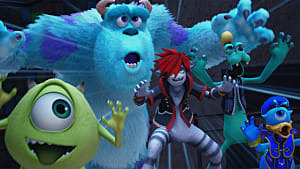 Finding him was Sora's mission in the first Kingdom Hearts, with his friends Donald and Goofy showing Sora the ropes. 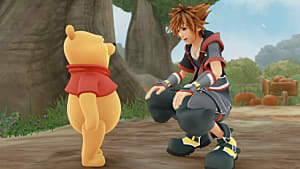 In Kingdom Hearts II, Mickey was consistently helping Sora, and in Kingdom Hearts: Dream Drop Distance, it's implied that Mickey has been training Sora and Riku. 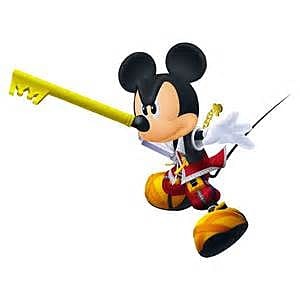 Also, out of all the heroic keyblade wielders, King Mickey is by far the strongest. For Sora to take his place as the big hero, Mickey can't be around. Lastly, this would work on a symbolic level. Mickey Mouse is an international icon of innocence. King Mickey's death would thus serve as a metaphor for a loss of innocence, tieing into what will hopefully be a great deal of maturing on Sora's part. While Donald and Goofy have always been the ones by Sora's side, his best friends will forever be Riku and Kairi. Out of the three, Riku is the only one to have received significant character development over the course of the series. 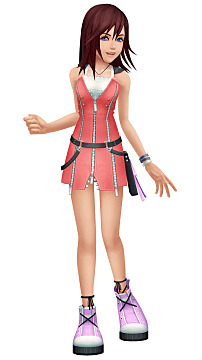 Sora has gotten some as well, but its been a lot more subtle. In addition, both of them have gotten sufficient time where they've been playable. More often than not, she's been a damsel in distress. 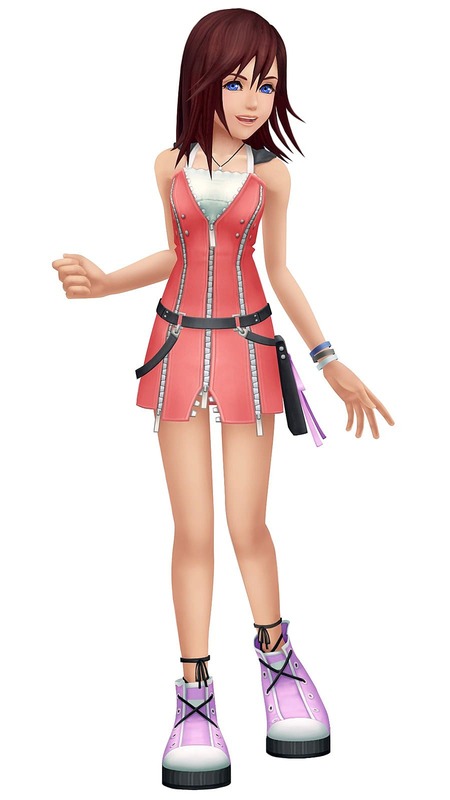 She's never been playable, and the only development she's received was a complete physical makeover between KH and KH2. 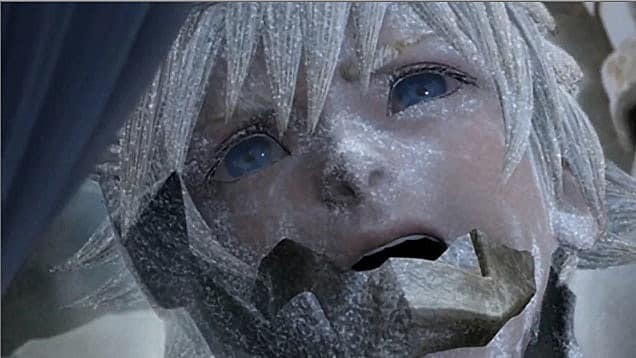 However, at the end of Kingdom Hearts 2, she was granted a keyblade. And for the past 11 years, we've been waiting for her to something, anything, with it. 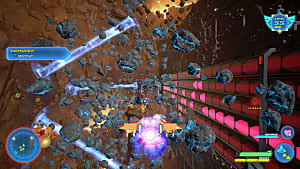 A major motif of the series is trios. Ex. Mickey/Donald/Goofy, Roxas/Xion/Axel, etc. Sora, Riku, and Kairi are the series's main trio, and it just wouldn't seem right if in the big finale, the boys got to hog the spotlight... again. In Kingdom Hearts: Birth by Sleep, we were introduced to Aqua, Terra, and Ventus. The three were best friends, living happily, until series antagonist Master Xehanort entered their lives. Through his machinations, the three ended up being split up and turned against each other. Despite their best efforts to come back together and stop him, they ultimately failed. Yes, despite all the happy go lucky moments the series is known for and all of the Disney characters, the fates of these characters were tragic ones. BBS was set 10 years before the original Kingdom Hearts, and since then, Terra has been possessed by Xehanort, Aqua has been trapped in The Realm of Darkness, and poor Ventus has been in a coma, unable to wake up because his heart is now in Sora. While a part of me would find it brilliant for these characters' fates to be left tragic, the storyteller in me knows that these characters' arcs need resolution. 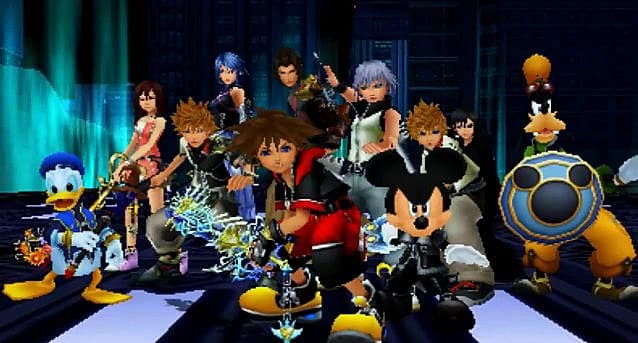 Another major reason they should be playable is that these kids deserve the right to beat down Xehanort, seeing as how he destroyed their lives. 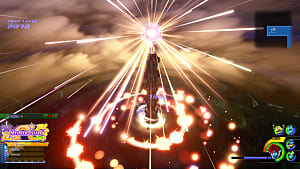 The final reason they should be playable is for a feeling of things coming full-circle. No, we haven't known these characters as long as we've known Sora and Riku, but everything they've done was because of Aqua, Ventus, and Terra. 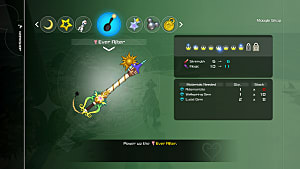 Without Ventus's heart, Sora never would have been a keyblade wielder. Without Aqua, Xehanort would have accomplished his plans while Sora and Riku were little kids. And without Terra, Xehanort would have been stopped years ago. 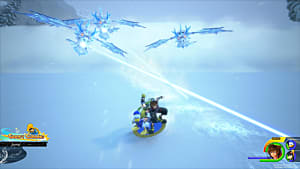 If any characters besides Sora and Riku are going to be playable in Kingdom Hearts 3, strictly thinking objectively, it should be Aqua, Ventus, and Terra. And with the game having been in development for at least five years by the time it comes out, frankly, all of the characters on this list should be playable. Do you agree with my list? What characters do you think should be playable in Kingdom Hearts 3? And would any of you be interested in a The World Ends with You sequel? Let me know in the comments!